The pop-punkers of PUP will embark on a massive cross-country tour this fall to support their latest LP, Morbid Stuff. Currently, the group is touring throughout Europe and the U.S. with Diet Cig, Ratboys, Casper Skulls, and Beach Bunny, varying per date through early July. They’re slated to hit a variety of festivals this summer, including Ottowa’s RBC Bluesfest, Germany’s Pukkelpop, and UL’s Leeds, before kicking-off their North American run on September 11 in Philadelphia. They’ll make stops in cities like Jacksonville, Atlanta, Indianapolis, Vancouver, Winnipeg, Nashville, and St. Louis before wrapping-up in Quebec City on October 23. During the trek, Charlie Bliss and Illuminatti Hotties will offer support. 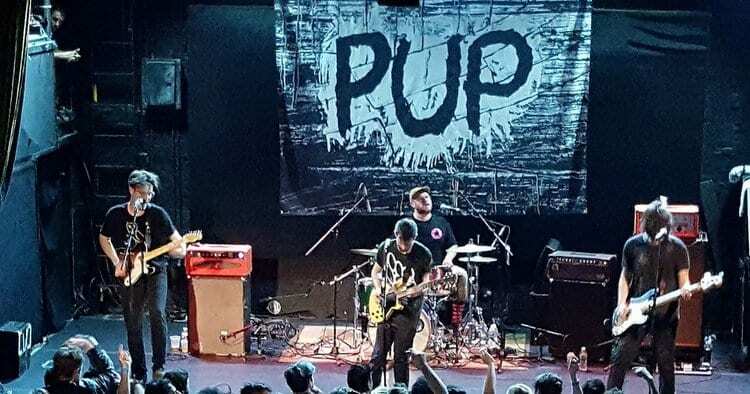 Late October, PUP will head overseas for a round of shows across Europe, playing in Berlin, Paris, Copenhagen, Glasgow, and Manchester, among other cities. Morbid Stuff dropped last Friday and includes singles “Kids,” “Free at Last,” “Sibling Rivalry,” and “Scorpion Hill.” The record follows 2016’s The Dream Is Over, as well as their debut self-titled album from 2014. Although the group hasn’t been in the music scene for long, they’ve already improved sound-wise and lyrically with Morbid Stuff, offering a more intimate take on their lives. Check out PUP’s full itinerary below. 09/13 – Baltimore, MD @ Rams Head Live!